'Warner Music Group' - a well-known and respected name in the music industry, but that’s just it. Warner may be on the tip of your tongue but what If we mentioned the names Atlantic, Parlophone or Warner Bros. Records… would you know that they’re all labels that are part of this major? 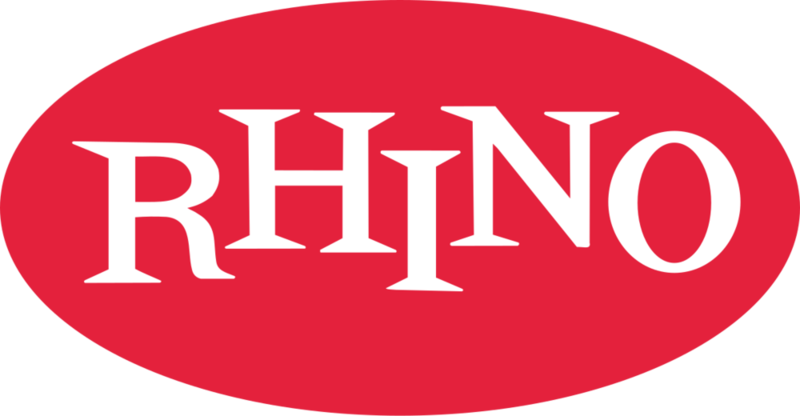 Without WMG, we may not have Rhino Entertainment, Reprise Records or Atlantic Records. Within 60 years this music powerhouse has developed a stronghold of over 4,500 employees and now operates in over 50 countries. And In the process has helped launch the careers of some of the most legendary artists in the business, thus solidifying the brand as a major player in the world of music. Atlantic Records - Founded in 1947, it didn’t take long for the Jazz and R&B label to stock up on superstars with the likes of Aretha Franklin, Ray Charles and Otis Redding all signing on the dotted line. Asylum Records - Launched in 1971, with a primary focus on hip-hop and alternative metal, home to artists and particularly popular songwriters such as Ed Sheeran and Charli XCX, you know it’s a highly credited label in the Warner Music family. Big Beat Records - A dance/electronic artist's dream label no doubt, once had humble beginnings itself, being conceived in the bedroom as many of us were, by no other than Craig Kallman the current CEO of Atlantic Records. With signings such as Skrillex, Martin Solveig and Galantis you know this label means business in the electronic music scene. Canvasback Music –Joining the Atlantic Records family in 2009. With an eclectic range of Indie-rock bands including: Frightened Rabbit, Alt-J and Grouplove. Any fan of alternative rock should recognise this label. If not – call yourself and indie-rock fan?! Elektra Records - Founded in the 50’s, the label was a significant player in the development of rock and contemporary folk music. Helping launch the careers of artists such as: Jamie Lawson, Rainbow Kitten Surprise and Matt Corby. Fueled By Ramen - Not to be mistaken for those wormlike noodles you slurp up when you’ve nothing left in the fridge. This talent-beaming label delivers more tasteful acts to the table than you could possibly stomach. Who doesn’t love a bit of Paramore, Twenty One Pilots or Panic! At The Disco? Roadrunner Records – With Slipknot, Trivium and Nickelback all calling Roadrunner home, you can see why the company has flourished as a top rock and metal label for over 30 years. A specialty record label, with expertise in reissuing some of the most legendary music in history, and in doing so facilitates the progression of both the physical and digital sections of the industry. Names on their books which they could definitely boast about include: Frank Sinatra, The Beach Boys and The Ramones to name but a few. With over half a century under its belt, originating as music label of the well known film studio Warner Bros. It was Frank Sinatra’s ‘Reprise Records’ being taken onboard which kickstarted many successful signings for the label. Do Van Morrison, Rod Stewart or Black Sabbath ring a bell? Reprise Records – An imprint under Warner Bros. Records, home to some of the most talented voices in music, my personal favourites of which are: Michael Bublé, Eric Clapton and Fleetwood Mac. With Sinatra as one of the original founders of the label, any artist under the label’s wing would say calling themselves privileged an understatement. Sire Records - With popular names such as Depeche-Mode and The pretenders marking just two from the eclectic list of performers on their books. If you know anything about new—wave and punk music then I’m sure this label rings a bell. Nonesuch Records – A 'world music' label with world-class acts from The Black Keys to Randy Newman, Steve Reich to Chris Thile. The label prides itself in the diversity of it’s roster, genres of which include: bluegrass, rock, jazz and folk. Self-proclaimed as a ‘home for unconventional minds ’on their Twitter page, the label certainly lives up to this with a unique roster of artists including Lily Allen, Ratboy, Gorillaz and Coldplay to name but a few. FFRR – Sounds like something you’d say after coming in from a blizzard, cool vibes from ‘Full Frequency Range Recordings’. A dance imprint for Parlophone, with a roster including: All Saints, Armand Van Helden and Carl Cox. Dating back to 1966, the label wholeheartedly prides itself in dance music. The question now is – would you like to be part of the family?